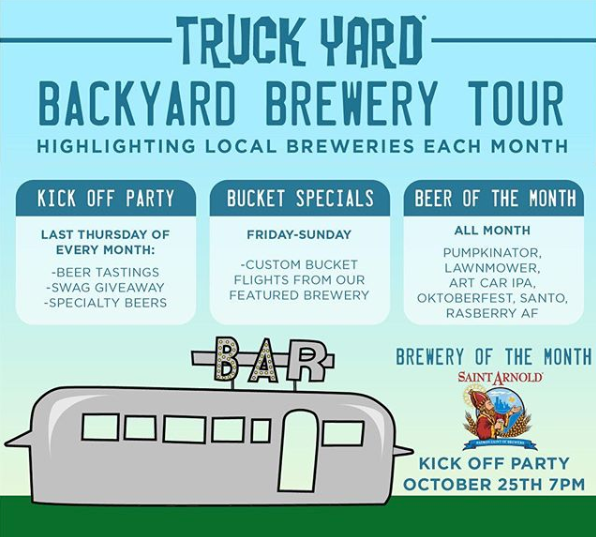 Introducing the Truck Yard Backyard Brewery Tour! The last Thursday of each month we will be featuring new beers from all our awesome local breweries! Come meet a new brewery each month and sample some of their tasty brews.